Design for a digital wall and accompanying digital signage for students to share notes of inspiration with other students. 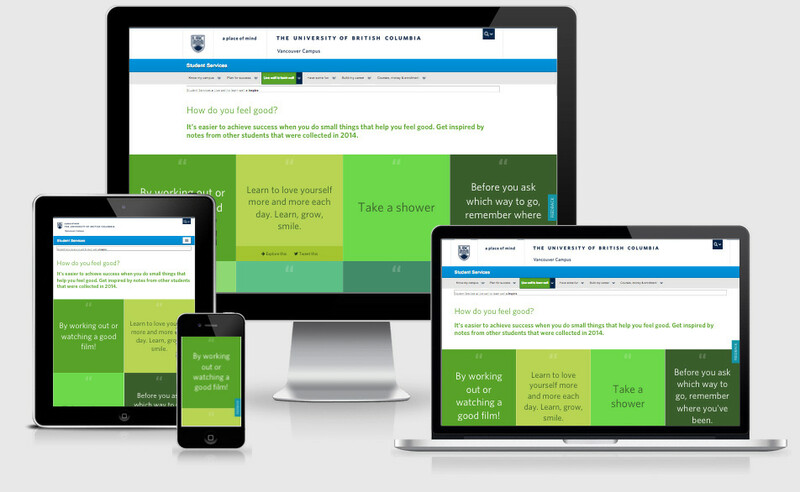 Part of the UBC Student Services Live well campaign, 2014. Design for a campaign website asking students How do you feel good? and displaying their submissions on a responsive digital wall. On hover or touch, links appear to tweet the statement, or explore more about that topic, directing students to more in-depth health info on the Student Services website. 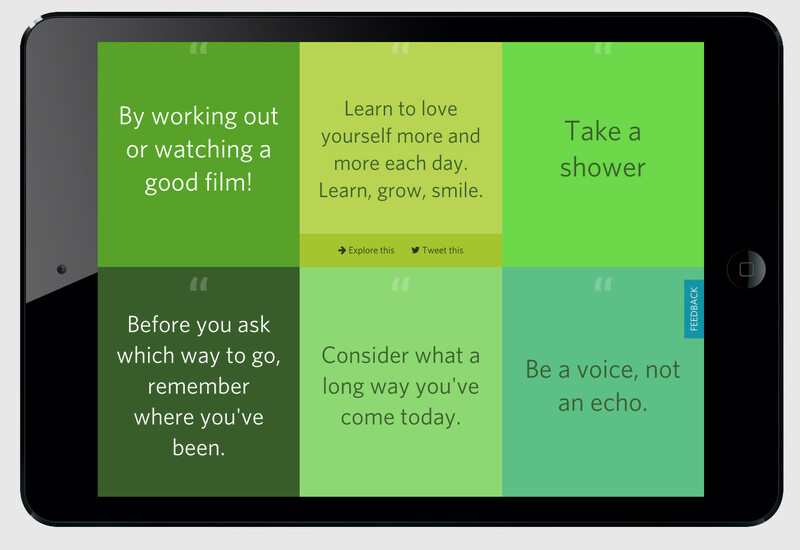 Digital signage on screens around campus shared students' wellness tips and encouraged other students to post their own.